You have perhaps undergone a driving course to start running your car safely. However, nowadays, many people like to gain some more skills. 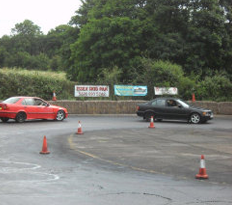 So, skid pan driving is also one such extra car driving course, which teaches you the way of reacting in any harsh weather, like snowfall or heavy rainfall. 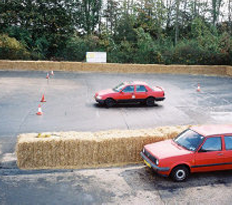 The training session is generally organized at special path, which allows you to learn several techniques for controlling car. There is no chance of disturbing other people. The duration of training on a daily basis is about three hours, and only few trainees participate in every guidance session. The program explains all the risks, caused due to unfavorable weather. At the same time, it also enables you to know the possible ways of overcoming all those dangers. After going through the course, you can stay under control, while driving the vehicle. Cars, engaged in this course, are specially adjusted. You can experience the result of the absence of proper amount of grip or traction. It happens mainly when ice or water is present on road surface. In this situation, you have the probability of skidding. The track for skid pan helps you in understanding the direct impact of excessive ice and water on your control over car. You may also sharpen the techniques in order to fight against these risks. You may know the right reaction for a timely and secure approach. It makes sure that you’ll be able to modify the steering issues.